Organic offer a simple to use Ecommerce package that enables you to sell your products online. 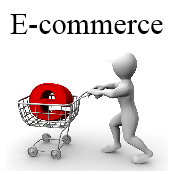 The Ecommerce Shopping Cart makes it quick, easy and affordable to sell your products online. Organic include everything you need to start selling straight away as well as a bespoke design to match your business. The result is an affordable, feature-packed Shopping Cart that is so easy to use, you’ll be selling online within hours! The Ecommerce Shopping Cart can be incorporated into either our Bespoke business package or the Platinum CMS package depending on your requirements. It can be used to sell both physical and digital downloadable items. 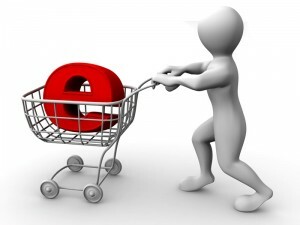 The cost of the Ecommerce Shopping Cart added to our Platinum CMS package is a one off payment of £60.00 inc vat. The cost to add the Ecommerce Shopping Cart to our bespoke business package is available upon request and is dependant on the amount of items needed to be added. Products can be added to categories so all items listed within a category can be listed with just a couple of mouse clicks. This is an example of items being added to a category and then shown on the page simply by adding the category code. This category is was created by adding a category called MooGoo, so the page displays all products made by MooGoo. However some of the MooGoo products fall into another category i.e Skincare and Cosmetics, this example shows all products listed within that category. Basicly just by adding the item once and ticking a box to show each category the item comes under, means it will show on every page you require a specific category to be shown. One item can be added to as many categories as you wish. The E-commerce system can be incorporated into either our bespoke business package or the Platinum CMS package depending on your requirements. It can be used to sell both physical and digital downloadable items. The cost of the E-commerce system is a one off payment of £60.00 inc vat and can only be added to our Platinum CMS package.